We’re so sorry to break it to all you sashimi lovers out there, but sushi might be causing parasitic infections. 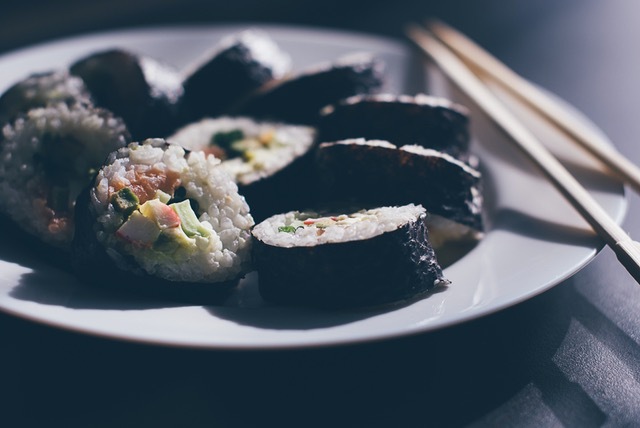 The British Medical Journal reported that the increasing popularity of sushi in Western countries might be resulting in an uptick of parasites in people’s stomachs. Yikes. The parasitic disease being reported is called anisakiasis, and it’s caused by worms that wreak havoc on your stomach wall and intestines. Symptoms include severe pain in your upper stomach, vomiting, and a fever. If these persist for more than a week and you’ve had sushi recently, see a doctor immediately. Anisakiasis happens when infected larvae exist in raw fish that you ingest, and a case was recently reported in Lisbon. Doctors found larvae attached to the gut lining of a 32-year-old man who was experiencing all the normal symptoms—and he had just eaten sushi. Luckily, they removed the larvae, and he recovered quickly. Dr. Joana Carmo, a gastroenterologist at a hospital in Lisbon, said that these cases are becoming more common in Western countries. "Owing to changes in food habits, anisakiasis is a growing disease in Western countries, which should be suspected in patients with a history of ingestion of raw or uncooked fish," Dr. Carmo said. If you have any of the following symptoms, see a doctor right away: abdominal pain, nausea and vomiting, digestive bleeding, and fever. To prevent this parasite from messing with your gut, eat cooked fish whenever you can, and if you’re not feeling well or if you’re pregnant, just stay away from sushi altogether.